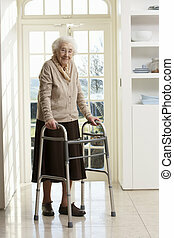 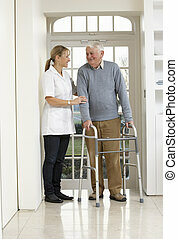 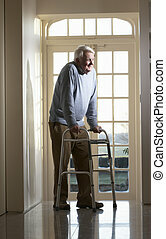 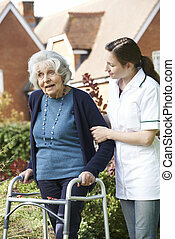 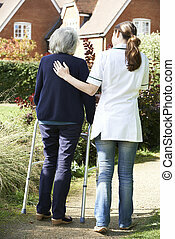 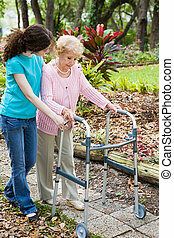 Carer helping elderly senior woman using walking frame. 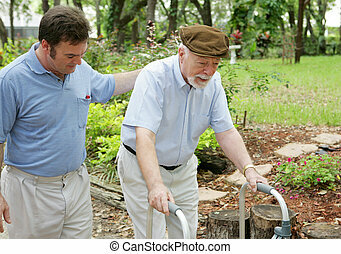 Middle aged son walking beside his disabled elderly father. 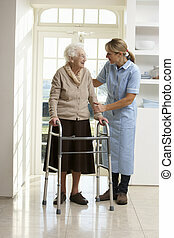 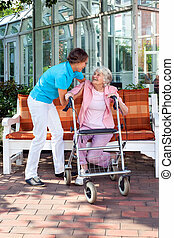 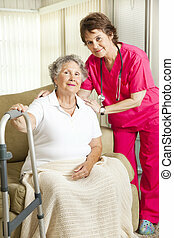 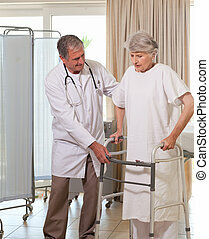 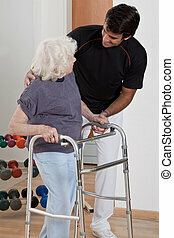 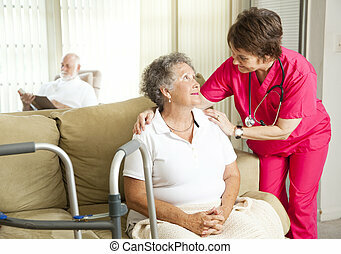 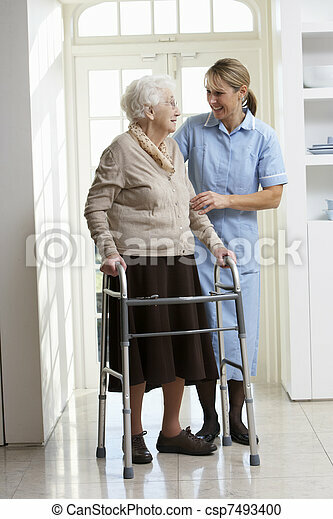 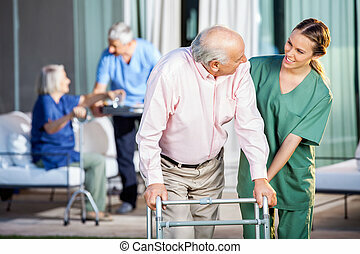 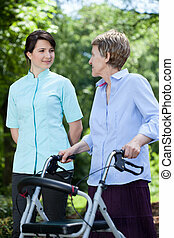 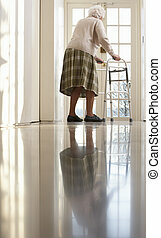 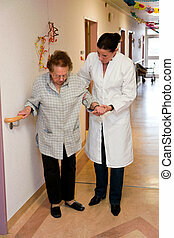 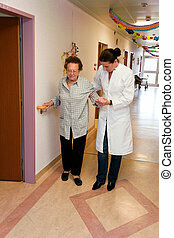 A therapist assisting a senior woman onto her walker. 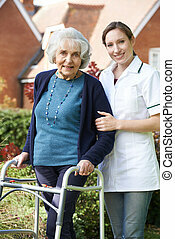 Senior woman in a nursing home, with a caring nurse. 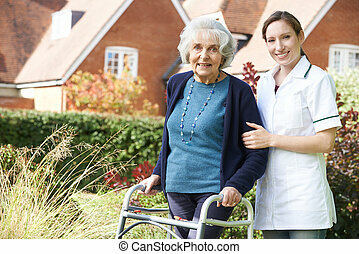 Dignified senior woman in a nursing home, with a caring nurse.